Size: 770 sq.ft. - 1050 sq.ft. Prime Views in Meydan Avenue is a latest unique structured residential project. Prime Views is being designed by Prescott Developers. It will include temperature-controlled pools, a fully equipped health club and will be surrounded by a vibrant community of outdoor dining, cafes, bistros, and luxury retail. For sports lover and those who loves peaceful environment then can choose Prime Views homes. This concept is designed to provide an urban lifestyle that includes view of racing backdrop & extraordinary view of "Dubai Skyline". The neighbourhood options make this project affordable to buy as compare to other projects in Meydan. The construction of Prime Views is expected to be completed in Q4-2019. Prime Views is a mid-rise apartment building that combines urban luxuries with contemporary designs and features. Prime Views is a G+4 residential development located in Meydan (close proximity to Meydan Hotel). It is unique concept where the residents can enjoy road views with nearby landmarks & a big swimming pool which lays at the center of the project apartments. The development features 133 one bedroom homes and 18 two bedroom apartments. The unit sizes ranges from 770 sq. ft. to 1,050 sq. ft. Every unit size apartments are meticulously designed with attention to the tiniest detail. 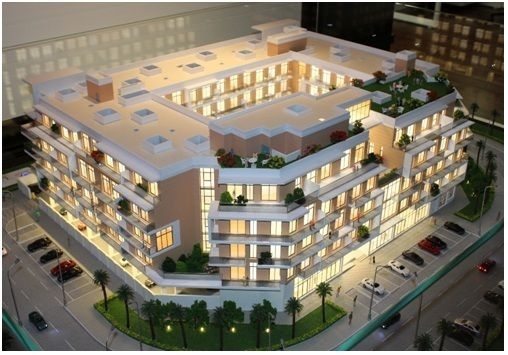 Prime Views project is located opposite to "The Meydan Hotel". It is surrounded by Meydan Racecourse and just next to Meydan One. The apartments which are at the heart of Meydan Avenue will include temperature-controlled pools, health club and set between a vibrant community of bistros, outdoor dining, cafes and luxury retail.Prime Views is a multi-faceted development is situated next to the world-renowned Meydan Racecourse and The Meydan Hotel that allows its residents to live sophisticated lifestyle. The location takes 15 mins to reach Downtown Dubai, Business Bay, Meydan One Mall, Dubai Water Canal, DIFC, Dubai International Airport & 5 minutes to Green Metro Line. The Prescott's Prime Views is directly addressed at Mohammed Bin Rashid City, Meydan Avenue, Dubai, United Arab Emirates. Prime Views will include fully equipped & furnished specifications like Pool, Fitness Centre, Cricket Stadium, Mosque, Kindergarten/Nurseries, Community Parks, School, Spa, Medical Clinic, Cycling Trail and other amazing amenities that make this project suitable to all type of residents.